Flashbulb Memories: Uniquely Bright or Commonly Forgotten? Hirst, W., & Phelps, E. A. (2016). Flashbulb memories. Current Directions in Psychological Science, 25, 36–41. Where were you when you learned that Barack Obama had become the first African American to be elected president of the United States? You might remember sitting in your living room, driving across town, or receiving an instant message. Psychologists call these flashbulb memories because some public events imbue a level of mental brightness that continues to shine years later. Are flashbulb memories unique? William Hirst and APS Past President Elizabeth A. Phelps (2016) argue that flashbulb memories have not lived up to their initial hype. They don’t belong to a separate mental system of autobiographical memories, something suggested by the originators of flashbulb-memory theory (Brown & Kulik, 1977). We now know that we encode, retain, and retrieve flashbulb memories as we do other types of autobiographical memories. Both types of memories become inconsistent over time at the same rate (Hirst et al., 2015). The big difference is that we rarely forget events that comprise flashbulb memories. You might flub the details of the conversations you had, the food you ate, or the clothes you wore the day Barack Obama became president, but you don’t flub the fact that Barack Obama became president. That public event is seared into your mind, guaranteed to burn bright the rest of your life. Some other characteristics distinguish flashbulb memories from other types of memories. One factor is greater-than-usual confidence. In general, people feel confident they won’t forget everyday occurrences. Ask people to recall a flashbulb memory and they will feel especially confident that they’re getting the facts straight, even if they’re not (Talarico & Rubin, 2003). Flashbulb memories also don’t shift according to media exposure (Tinti, Schmidt, Testa, & Levine, 2014). You might read a news article about a flashbulb-memory event, such as where Obama addressed the nation after winning the 2008 presidential election. (It was Chicago.) Such media exposure can help or hinder your ability to learn details about a flashbulb-memory event, but your actual flashbulb memory — where you were when you learned about a public event — will remain unchanged. Flashbulb memories are “autobiographical memories that involve the circumstances in which one learned of a public event.” For example, some people remember where they were when they learned that terrorists had attacked the United States on 9/11. What is a flashbulb memory from your life? With your partner, take 2 minutes and discuss your flashbulb memory in as much detail as you’re comfortable sharing. Everyday autobiographical memories involve common experiences and interactions. For example, some people remember conversations they have had with friends or family members. What is a significant memory from the prior year of your life? With your partner, take 2 minutes and discuss your everyday autobiographical memory in as much detail as you’re comfortable sharing. How do these two types of memories differ? How are they alike? How confident are you that you accurately recalled the flashbulb memory? Are you more or less confident about the accuracy of your flashbulb memory than about the accuracy of your everyday autobiographical memory? Why? Do you think learning details about your flashbulb-memory event will change your memory of where you were when you learned about the public event? Why or why not? Instructors then can discuss the scientific evidence regarding the similarities and differences between flashbulb memories and everyday autobiographical memories. Hirst and Phelps (2016) offer an easy-to-digest review. Flashbulb memories help to define our lives. December 7, November 22, and September 11 mean different things to different people. To some people, they are only dates on a calendar. To others, these dates bring to mind events — the attack on Pearl Harbor, the assassination of John F. Kennedy, and the terrorist attacks on 9/11 — that caused time to stand still. Although these events involved danger and distress, our flashbulb memories help us build social connections; maybe that’s why we hold onto them. By having these memories wedged into our mind, we can share our experiences, learn from others, and make sense of momentous events. King, L. A., Heintzelman, S. J., & Ward, S. J. (2016). Beyond the search for meaning: A contemporary science of the experience of meaning in life. Current Directions in Psychological Science, 25, 211–216. Psychological scientists have gleaned insights into seemingly ineffable yet vital aspects of human experience, such as love, altruism, and joy. So why not also explore the roots and fruits of meaning in life? coherence (predictability that makes sense). Measuring meaning in life. Some surveys addressing this question have asked single, straightforward questions. The Gallup Organization, for example, asked 141,738 people in 132 nations, “Do you feel your life has an important purpose or meaning?” “Yes,” answered 91% (Oishi & Diener, 2014). Instructors also could pose that simple question to their students while acknowledging that some 3% of people currently are coping with severe depression (Pratt & Brody, 2014). Or, to engage them more deeply, they could distribute the 10-item “Meaning in Life Questionnaire” (MLQ) developed by Michael F. Steger, Patricia A. Frazier, APS Fellow Shigehiro Oishi, and Matthew E. Kaler (2015, with the questionnaire available at tinyurl.com/MeaningQ). On the 10 to 70 score range, the researchers’ samples of university students, including introductory psychology students, averaged approximately 46. Outcomes of meaning. King, Heintzelman, and Ward emphasize that meaning matters. People’s sense of life meaning, as self-reported on instruments such as the MLQ, predicts positive psychological outcomes (such as quality of life and absence of psychological disorders) and positive physical outcomes (such as lowered risk of heart attack, stroke, and even Alzheimer’s disease). The traffic between mind and body runs both ways. Social connections that satisfy the human need to belong. A religious faith that provides coherence, facilitates coping, and fosters goals. A good mood. Show the King team someone whose day is marked by positive affect and they will show you a person whose day feels meaningful. An orderly world, including an environment that makes predictable sense. Socioeconomic status. When comparing individuals, abundant means predict ample meaning. Oishi and APS William James Fellow Edward F. Diener, using the Gallup World Poll data, people in poor countries find “more meaning in life than those of wealthy nations” (p. 422). They attribute this paradoxical finding to the greater religiosity and lesser individualism (and social supports) of less-wealthy countries. Bringing meaning into the classroom. In addition to asking students about their own sense of meaning in life (perhaps by using the Gallup question or the MLQ), instructors might invite discussion: What activities or purposes give your life meaning? King, Heintzelman, and Ward report that meaning often flows from ordinary, daily activities and responsibilities. Is that true for your students? Or do they only derive meaning from major life events? As a class demonstration, you could also put some of the King et al.’s conclusions to the test in real time. Go to the General Social Survey database. To see if religiosity indeed predicts meaning in a national sample of Americans, enter “doubts4” as the row variable. Enter “attend” as the column variable. Then click “run table.” Your students will see that, indeed, a “feeling that life really has no meaning” is rare among those who frequently attend religious services. Or, to explore but one form of social connection, replace “attend” with “marital” and see that the sense of no meaning is more frequent among those separated or never married. write about (a) what a meaningful life looks like; (b) if they are living a meaningful life, and why; and (c) how they live meaningfully. I have them seal these in a signed envelope, which I keep in my office for the whole term. On the last day of class, they complete these prompts again, and then they compare these to their first-day responses. It’s pretty exciting to see how students have experienced growth during the semester. I assign students a virtue assignment, where they have to do something virtuous or prosocial. We then discuss how it made them feel and the degree to which it may have boosted their meaning (in part by improving relationships with others). We also do an “obituary assignment” that helps students reflect on their significance. They write about how they’d like to be remembered one day. This also helps them orient toward a sense of purpose, so they can arrange their goals in life. Finally, we spend a bit of time distinguishing between a meaningful life and a happy one. I think this is an important distinction. APS Past President Elizabeth A. Phelps and APS Fellow Shigehiro Oishi will speak at the 2017 APS Annual Convention, May 25–28, 2017, in Boston, Massachusetts. Brown, R., & Kulik, J. (1977). Flashbulb memories. Cognition, 5, 73–99. Hirst, W., Phelps, E. A., Meksin, R., Vaidya, C. J., Johnson, M. K., Mitchell, K. J., … Olsson, A. (2015). 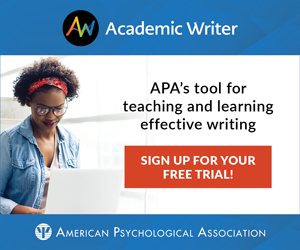 A ten-year follow-up of a study of memory for the attack of September 11, 2001: Flashbulb memories and memories for flashbulb events. Journal of Experimental Psychology: General, 144, 604–623. Oishi, S., & Diener, E. (2014). Residents of poor nations have a greater sense of meaning in life than residents of wealthy nations. Psychological Science, 25, 422–430. Talarico, J. M., & Rubin, D. C. (2003). Confidence, not consistency, characterizes flashbulb memories. Psychological Science, 14, 455–461. Tinti, C., Schmidt, S., Testa, S., & Levine, L. J. (2014). Distinct processes shape flashbulb and event memories. Memory & Cognition, 42, 539–551. APS Fellow David G. Myers is a professor of psychology at Hope College. His scientific writing has appeared in three dozen academic periodicals, and he has authored or coauthored 17 books, including Psychology (11th ed. ), Exploring Psychology (9th ed. ), and Social Psychology (12th ed.). Myers can be contacted via his website at www.davidmyers.org.